#SurvivorsAsk: Interview AMORPHIS for 70000TONS.tv! We are giving 70000TONS OF METAL™ Survivors the chance to interview Heavy Metal Icons in person when they play in your neighborhood for the 70000TONS.tv segment called #SurvivorsAsk! Here is how it works: we select a tour stop from one of your favorite 70000TONS OF METAL™ Artists (past or present) and we will enlist one of our Survivors to conduct an interview. 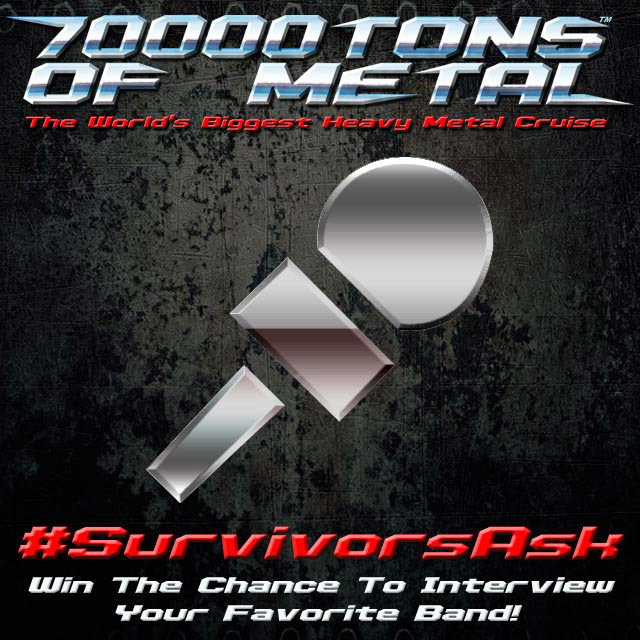 If you are a 70000TONS OF METAL™ Survivor and live in the area, tell us why YOU would be the perfect candidate to conduct this interview by submitting a video to Instagram and tagging @70000tons, #70000tons and #SurvivorsAsk. If you are selected as the winner, simply get yourself to the show and we will get you plus one friend on the Guest List and organize the rest! AMORPHIS, who sailed with us on board 70000TONS OF METAL 2017, will be interviewed by one lucky Survivor in Montreal, QC, Canada on March 17th, 2017. Submissions must be received before 5PM EDT on Thursday, March 16, 2017. If you are not eligible to interview the band, we would still love your input! Head over to the Official 70000TONS OF METAL™ Forum and post one question YOU would like to ask AMORPHIS in the official #SurvivorsAsk thread!